There are hundreds of posts at DA that will help you succeed in your pursuit or delivery of dance and dance training. To help you find what’s most useful to you, we’ve organized some of our very best content for you. Is It Okay To Stretch Before Class? Getting Your Students to “Eat Their Vegetables” and Like It! 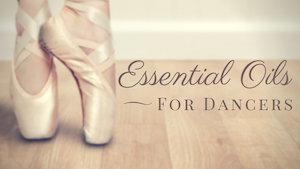 How Much Dance Should My Child Be Taking? What are the Pros and Cons of Dance Competition? 4dancers.org and Dance Advantage have teamed up to compile this 6-page resource all about Choreography. How Do You Define “Dolly Dinkle” Dance Instruction? What Is Artistry and How Do I Develop It? Where Can Teachers Continue Their Education? And that’s just our past! There are over 100 posts above but the list of topics could go on… dance history, class music, cultural dance forms, navigating the net, and more. And every week we deliver still more useful, intelligent content! and help you make the most of your dance experience.